Co-op Connections | Grand Valley Rural Power Lines, Inc.
You benefit from Co-op Connections! Grand Valley Power, a Touchstone Energy® cooperative, is proud to be an integral part of the communities we serve. That’s why we provide the Co-op Connections Card, a program that helps you receive discounts on products and services from participating local and national businesses. This same program that offers discounts at local merchants, has saved co-op members thousands on prescriptions and now offers you significant savings on dental, vision, hearing, lab & imaging services and chiropractic work. Each member of our co-op receives the Co-op Connections Card free. There’s no sign-up. No annual fees. 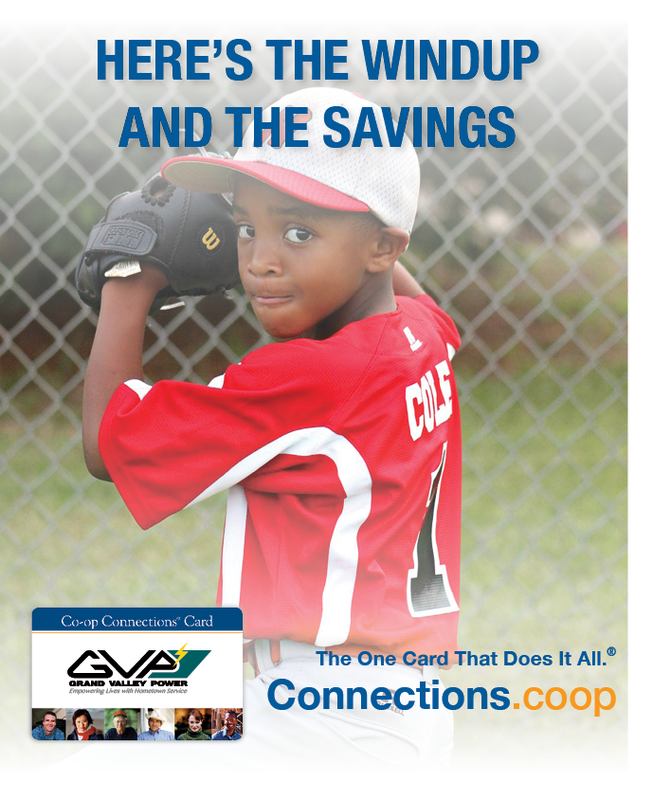 You get your Co-op Connections Card simply because you’re a member of Grand Valley Power. In addition to local businesses, Touchstone Energy secures discounts from a variety of national businesses and chains, such as rental car companies and hotels. • Show your Co-op Connections Card and get valuable discounts from these participating businesses. • Watch for updates in our newsletter and on our website. Great discounts from businesses in your community including dining, shopping, automotive and much more. Use the card to support store owners in your community. • Nationwide discounts from well-known brand names. • Big savings when you shop online. Visit the Co-op Connections Card website to print your card now, locate provider savings, download the Co-op Connections app for easy mobile access on-the-go and more.